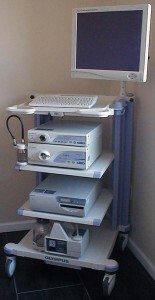 Olympus Endoscopy System: EXERA II 180 series. Certified pre-owned with an 18 month warranty. 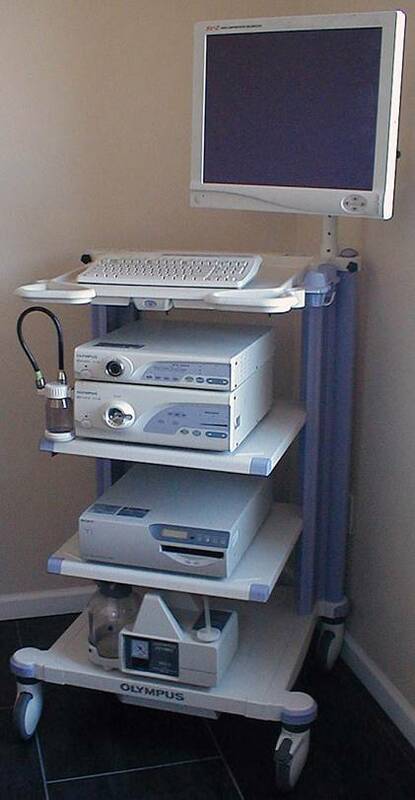 CV-180 Video Processor, CLV-180 Xenon Light Source, CF-H180AL or PCF-H180AL HD Video Colonoscope, GIF-H180 Video Gastroscope (or may use standard definition colonoscope and gastroscope), OEP-4 or UP-55MD video Printer, Sony LMD-2110 Medical Monitor, procedure cart and suction pump. Contact a sales person for more information and pricing.